Delicate and beautiful layers of petals guarded by thorns... Roses, when compared to other flowers, possesses a distinct degree of elegance and beauty. Roses aren't only beautiful, but also strong enough to protect itself and that is one of its biggest charming points. Combining a rose's sublime quality with a beautiful woman makes both of them look noble and must not be touched by just about anybody. 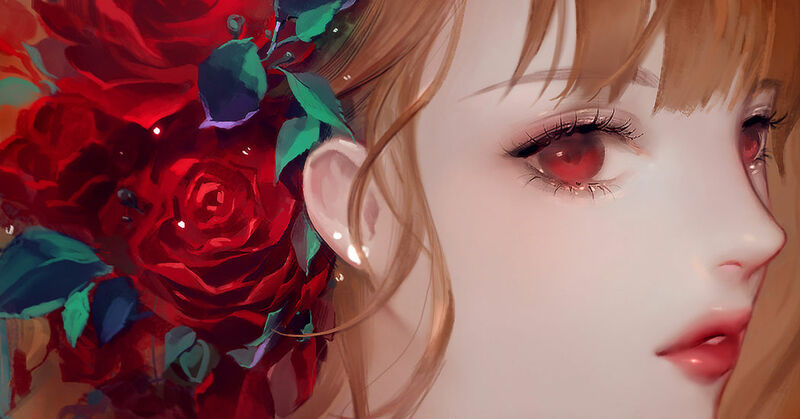 This time we have gathered some illustrations depicting girls with roses. Enjoy!